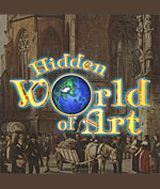 Download Hidden World Of Art for free at FreeRide Games! Lana always loved Art as a child, so it's no surprise that after graduating from Art School she decided to open her own freelance practice and use her restoration expertise to restore valuable paintings from wealthy customers back to their original glory. In Hidden World of Art, you must help Lana as she takes on commissions and then use her earnings to furnish her bare, new apartment. Each time she completes a painting, she can afford to buy something new to turn her shabby abode into a chic home fit for an artist. 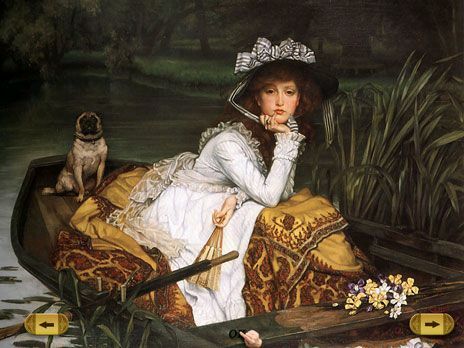 In addition to traditional Hidden Object gameplay that requires you to locate items from a list, you are also challenged to find hidden objects in other ways, such as matching them to their corresponding silhouettes, pairing two identical items and spotting the differences between two paintings. Hidden World of Art is a beautiful game, as you'd expect it to be given its title. With an original soundtrack and more than 50 puzzles to solve, it should be lots of fun for Hidden Object game fans. Buy new home furnishings with money you earn. 50 levels of hidden object fun.